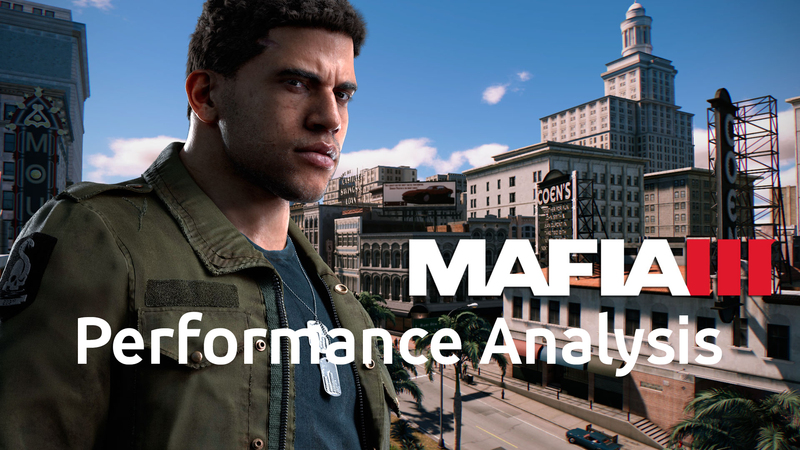 Mafia III is finally here, and everyone is excited to finally get a chance to roam Louisiana and enact retribution in the name of, well, anything really. The story is fine (review incoming, it’s a massively interesting game) and the action is even better. But what we really want to know is how it actually performs. When it first came out there were concerns over optimizations, that the DirectX 11 based game wasn’t quite running at its maximum efficiency like one might want it to. So how now? 2K Games and Hanger 13 have an in-house engine that they’ve been using since the first Mafia game was released. The Illusion engine gives them the ability to create vast arenas for you to play with with a suitable amount of post-processing effects thrown in. They wanted something that could handle a massive world and transitions between small sections of that world in a mostly seamless way. The shadow maps are complex and the dynamic lighting is quite impressive. The Sun itself has been made a dynamic light source to help make for a more believable atmosphere. Underneath, they opted to remain on DirectX 11 for the time being. They also have PhysX for the physics work and FaceFX provided the very well done facial animation. It’s very convincing and natural. The character models themselves have a lot of attention to detail paid to them. All of that said, the engine is only slightly updated compared to its predecessor. Is it possible to make your brutal climb up the criminal underworld at high resolution and with all of the candy turned on as high as possible? And if so, what GPUs are actually capable of handling it?